Annually, in recognition of National Children’s Dental Health month, Dr. Wear, Dr. Moose, and Ms. Molar visit several Frederick County Schools and talk to the students about how important it is to have good oral health care. Together they demonstrate, with the help of the students, the correct way to brush and floss their teeth. The students are also taught about food choices, what is good and what is not good for their teeth. There is a video starring Kirby the chimpanzee who also shows how to brush and floss. The students will agree that Ms. Molar makes their learning experience fun! 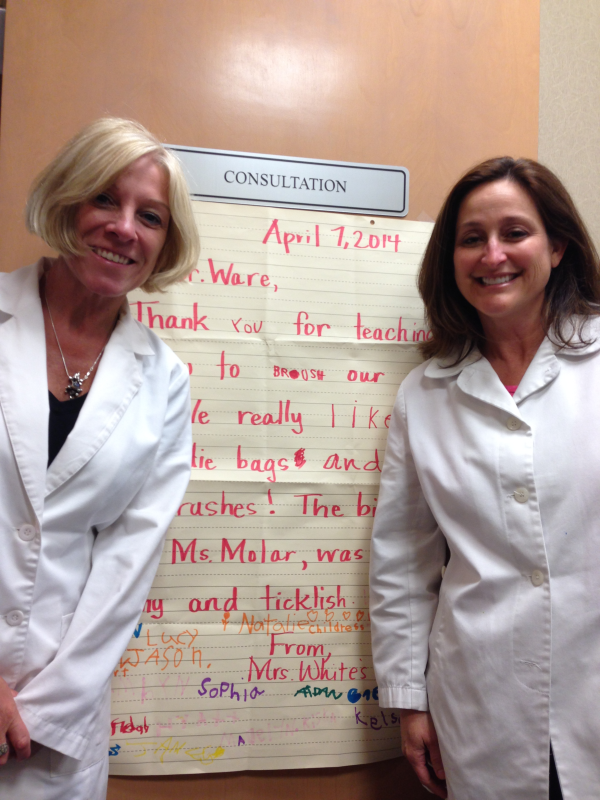 Dr. Moose and Ms. Molar received many thank you notes this year from the Frederick County Schools they visited. Dr. 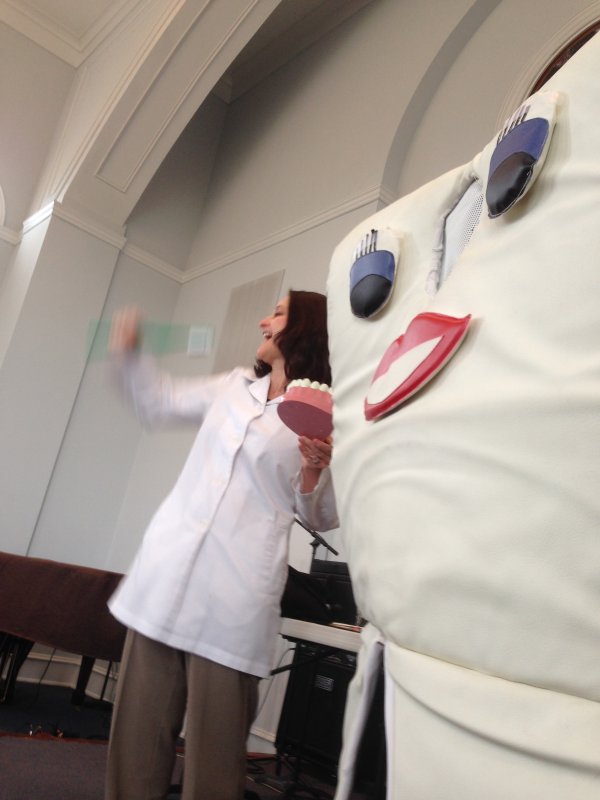 Wear and Ms. Molar demonstrate to the students the correct way to brush and floss.